If you’re planning a wedding or any other event, consider surprising your guests with a two-space event. Using more than one space is a creative way to create a unique experience for your guests. A two-space event can help generate movement, keeping things more lively and fresh. Here are some tips on how to create two different but cohesive spaces. No matter how many spaces you plan on having, the most important thing is that you take time to plan! Especially when planning for more than one space, be sure to consider what will keep you and your guests happy and engaged. Where do your guests need to move and when? How will they know they need to move between spaces? What will their path of movement look like? Do you want to keep both spaces open at all times? 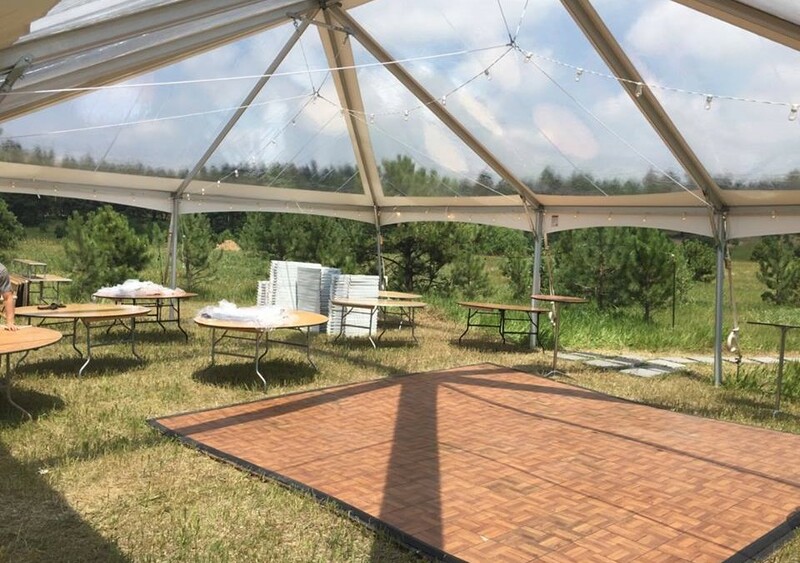 The event experts at Benson Tent Rent can help you design an appropriate floor plan, which includes tables, chairs, DJ area, dance floor, etc. Remember, a new space is a great way to get your guests moving and curious but you have to make sure it’s practical and meaningful! When it comes to a two-space event, the second room is another opportunity to wow your guests. If you choose to open up the second space after dinner, be sure to take advantage of the movement happening and make a shift in the event energy all together. Above all else, be strategic and thoughtful in the revealing of your second room. You don’t want your guests to be confused about where they should be – you want them to be engaged, entertained and excited. Finally, don’t be afraid to get creative: one of your rooms could be a tent! For more two-space event inspiration, give us a call!